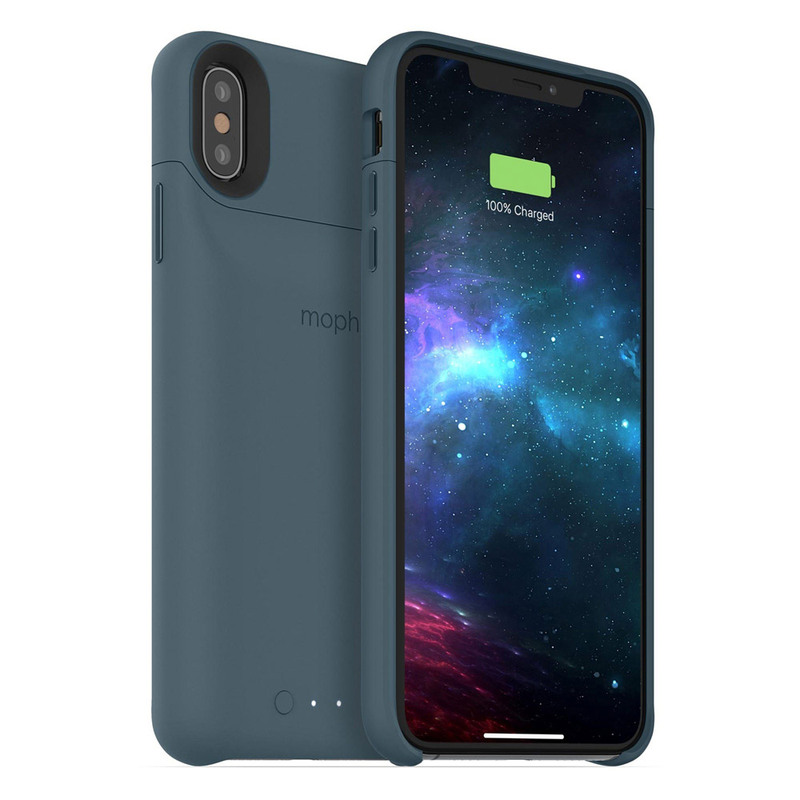 mophie juice pack access is a compact, protective battery case with full access to Lightning port. The juice pack access battery delivers enough power to extend the life of an iPhone up to a total of 31 hours. The intelligent design gives users full access to the Lightning port on iPhone, so they can use EarPods or headphones to listen and talk while charging. The juice pack access battery case works with any mophie charge stream wireless accessory and other Qi wireless chargers. Recharge the juice pack access battery case wirelessly or use the USB-C port. With Priority+ pass-through charging, power is directed to the iPhone first, before the juice pack access recharges itself. The juice pack access battery case can be wirelessly charged independent of the iPhone.